WARNING – This is a very powerful RC modification. The 2 RC buggy motors powered by the BuWizz units can potentially damage the plastic components. Make sure to test the limits of the car and drive it carefully! 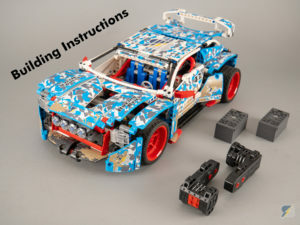 Inventory can be found at the end of the instructions and also available on Rebrickable. 42077, Buggy motor, BuWizz, Technic. Bookmark.